Hi, Dreamers! We're an independent magazine and creative community supporting emerging authors and artists worldwide. We're currently a non-paying market, but we're here because we would love to change that! We publish fantastic authors and artists from all backgrounds in a beautiful, full-colour, illustrated magazine. Unlike most markets, we give feedback on every qualifying submission we receive because we want to support every writer who visits our inbox. Cutting to the chase: Become a Lucent Dreaming patron! Help us continue to support our contributors. Every dollar helps us afford our next print run and allows us to publish amazing work by incredible people. All our patrons get exclusive full access to the PDF editions of our magazine as well as their name printed at the back of our upcoming issue on our supporters page. 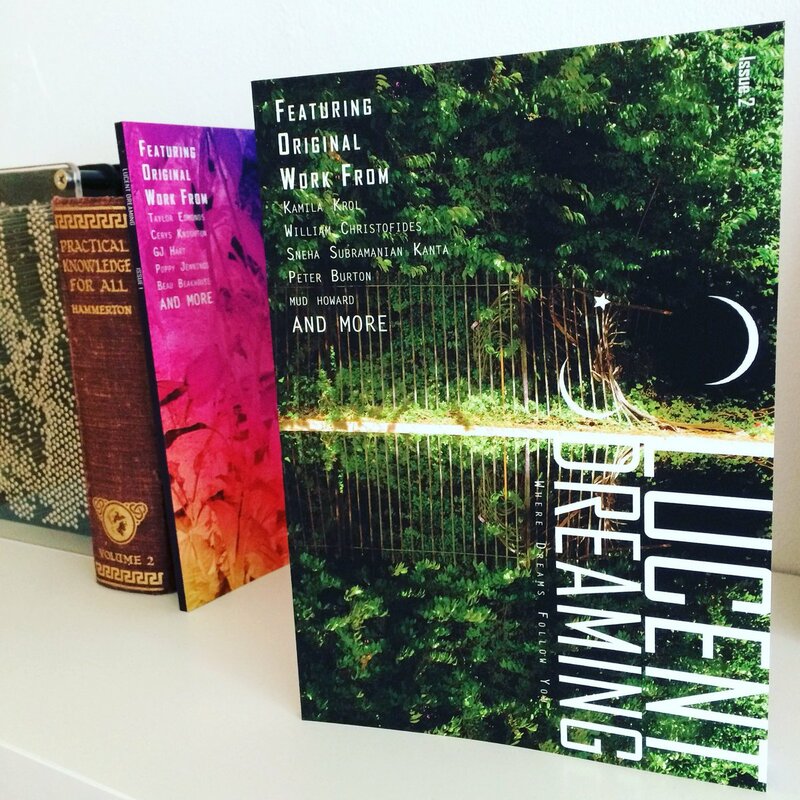 $5+ patrons will receive lovely things in the post (and endless love from the Lucent Dreaming team, of course). If you love surreal, beautiful artwork and writing, we're absolutely going to be your new favourite magazine. Follow your dreams and help us follow ours! We're excited to welcome you to the team. At $40 we'll start a free-to-enter poetry contest!